Why set up an SPV? A special purpose vehicle (SPV) or subsidiary company allows a university to operate services with greater commercial focus under separate leadership and governance, while maintaining ultimate control. Some believe it provides a good alternative to outsourcing, since the university controls the future direction of the SPV. Ultimately, an SPV can operate more successfully and deliver income to its university. SPVs can set up their own pay and grading structure and policies and procedures that better reflect the business area in which they operate. Jon Greenwood, commercial director at the University of York, explains: “The traditional university HERA pay and grading structure was designed as tool for academic roles and does not suit all commercial roles.” Examples include bar staff and nursery workers, who can be employed on terms comparable to their sector. At the University of Leeds, subsidiary companies have been used as a means to bring partners, including other HEIs or regional/national partners, together to deliver a new activity. They are also used for non-core facilities or services that might operate better if they were independent in the market. It can be difficult gaining buy-in to a commercial approach in a traditionally non-commercial environment. Despite the existence of successful models around the country, some institutions remain fearful of the risks, but gaining the full support of the university leadership is essential. Creating an SPV is not a means to abrogate management responsibility – active leadership and engagement are critical and the responsibilities are significant. There are substantial legislative considerations and the time involved should not be underestimated. It is also essential to understand the tax and VAT implications. University-owned nurseries are one of the big success stories of SPVs. The University of Leeds has consistently delivered an outstanding OFSTED rating as well as financial sustainability for its vital university nursery service, a wholly owned subsidiary, while the University of Essex turned around its loss-making day nursery after moving it into University of Essex Campus Services Ltd. It now returns a healthy 6%–7% surplus to the University, with students, staff and local community benefiting from a high-quality nursery. 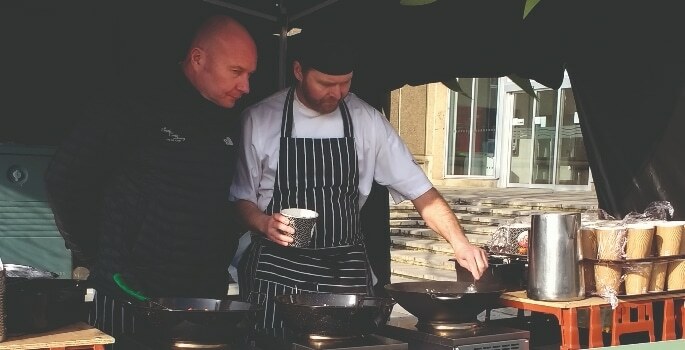 Under York Conferences Ltd, the University of York’s catering offer has transformed from a subsidised provision to a substantial profit-making business. Savings have been made across 14 outlets, allowing investment in services and transforming the student experience, with options ranging from carvery to street food. A slightly different SPV has been developed by the University of Leeds in partnership with a local sports club and national governing body – British Rowing – for the development of a new boat house facility. “It has enabled us to integrate facility and sports development requirements with three partners really effectively, leverage capital funding for a much-needed building and, we think, deliver something in the city of Leeds which will have a wider community impact,” explains Stewart Ross, director of commercial and campus services at the University of Leeds. All in all, the time spent planning, consulting and thinking through an SPV is absolutely critical, but the rewards in business agility, flexibility and added value are significant. CUBO is running two relevant courses during winter 2018–19: Setting up an SPV and The Company Director. Check the CUBO website or email information@universityhospitality.co.uk for more information and dates.